READY FOR MORE OF THE CONNELLYS? First off, thanks for reading the books in my Celtic Witches series! I’ve enjoyed writing them so much, and I’m glad readers just like you have been loving them. I’m currently working on Book 3 in the Celtic Witches series: The Connelly Secret. 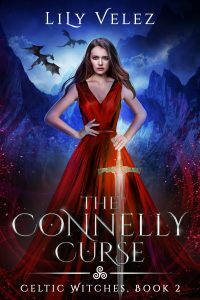 If you’d like to receive a New Release Alert once The Connelly Secret is available on Amazon and through Kindle Unlimited, just drop your email in the box below. If you need to catch up on any of the previous books, you can find them here: Book 1, Book 2.